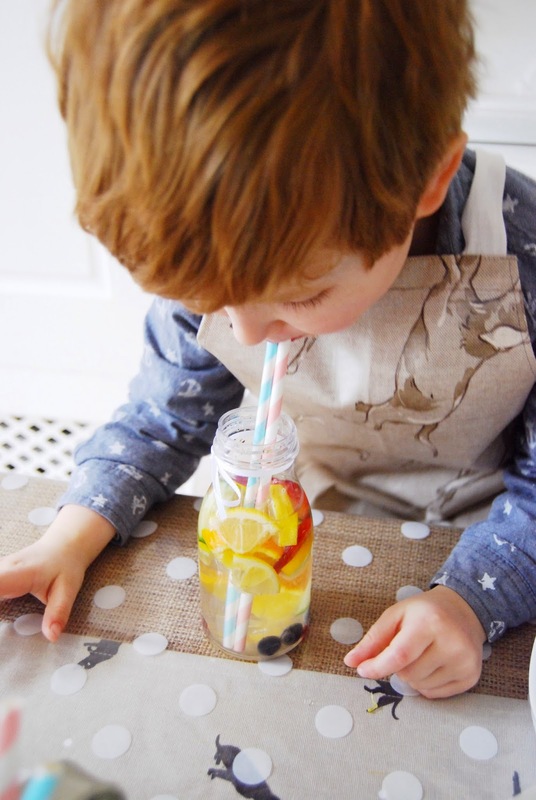 As part of our family campaign to drink more after and working alongside the ''Better With Brita'' campaign I have come up with a fun activity to get the children excited and drinking water. It all stems from me introducing homemade flavoured water into our diets and this is a development to get our children interested in H2O. 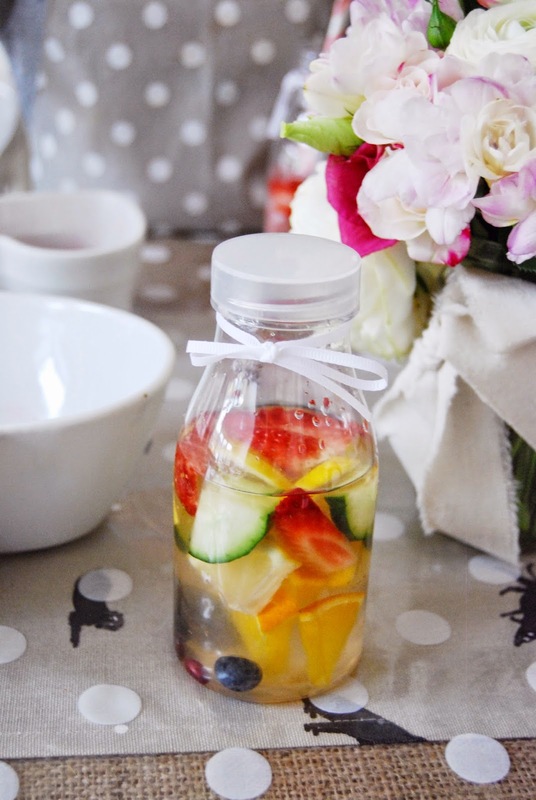 I love infusing water at the moment with different fruits and the kids have been a bit taken with watching me cram handfuls of fruit into our Brita ''Marella'' jug. 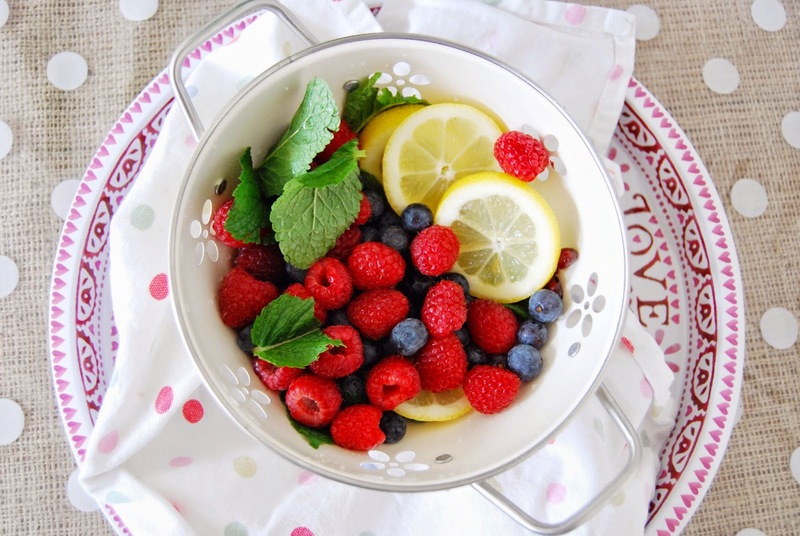 Our kids love fruit and would happily sit and eat a bowl of raspberries instead of a bowl of chocolate. With all of this in mind, I wanted to come up with a way of them enjoying making some infused water but in their own bottles. You can obviously use their normal juice bottles for this but I wanted to use some of these fab plastic mini bottles we have. They are great for the kids as they are plastic and they also have a screw on lid so this means they can be kept in the fridge and grabbed easily for when we go out. I purchased ours from Amazon for £5. 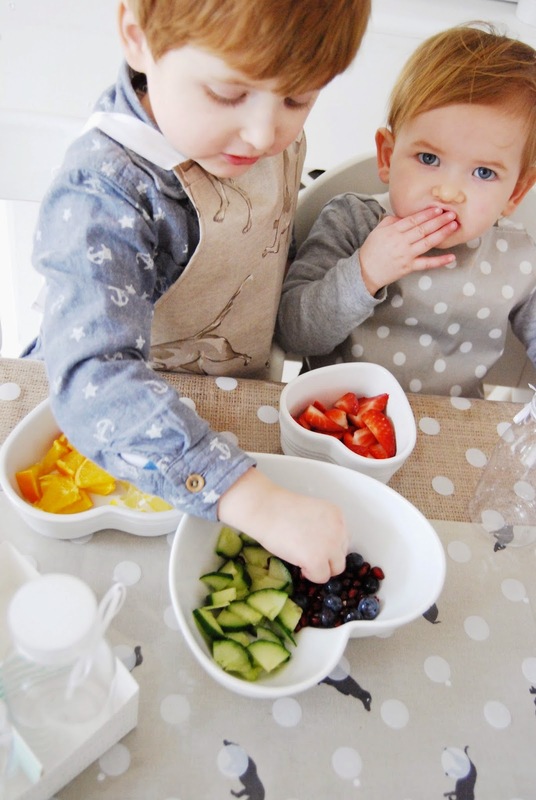 I provided the children with a range of different fruits that I have cut up from our fruit bowl. They just filled them with what they wanted and then I topped them up with fresh filtered water from our Brita jug. 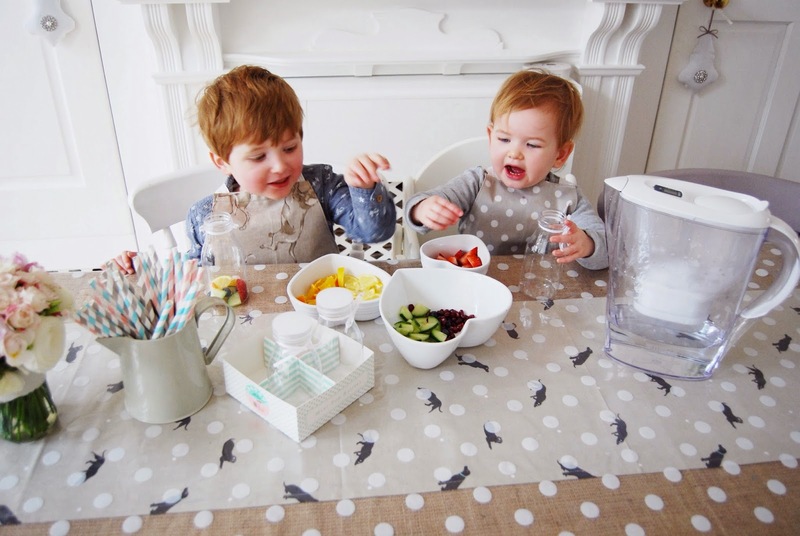 Raph loved being able to 'Invent' his own drink and Etta pretty much copied him and ate the fruit as we went along. 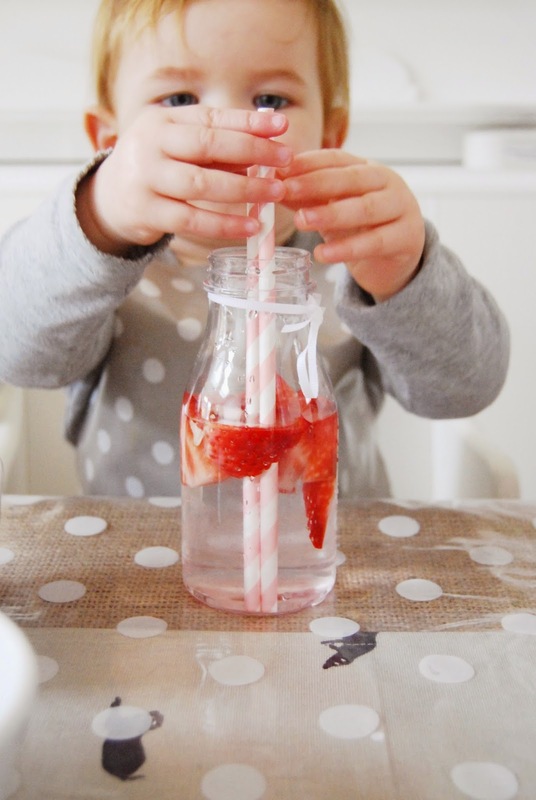 This is a great activity to get your child drinking more water. If you give them a bit more responsibility with preparing it you will find that they will enjoy it more as it is something that they made. 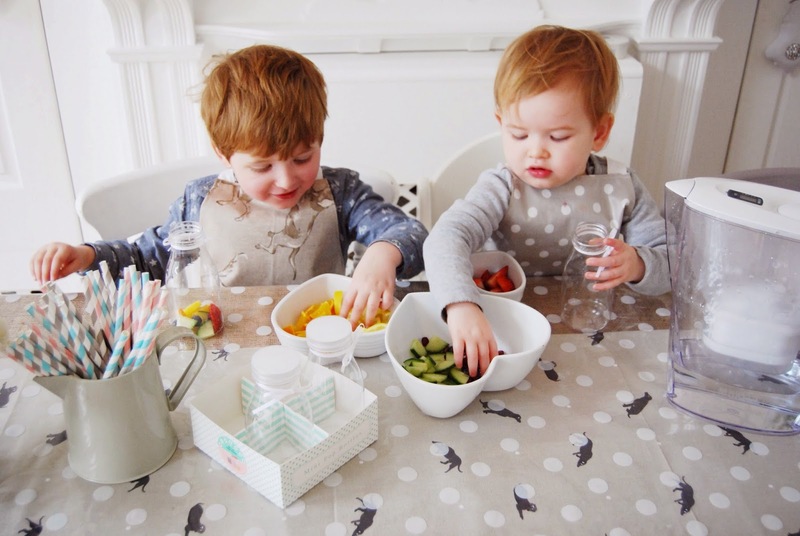 You could have this as their pre-dinner activity or you could use multiple bottles and get them to make them in the morning and then keep them in the fridge for them to access through the day. I have found that as these bottles are different to their usual beakers, it also makes them seem more exciting. 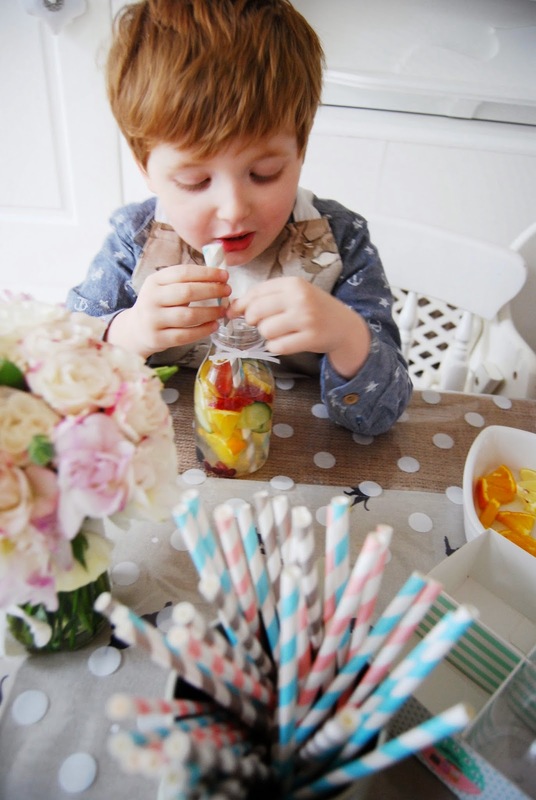 Add a stripey straw and allow them to experiment with different flavours. You will find that their water intake might improve and that when you only have water to drink, it's not so bad! 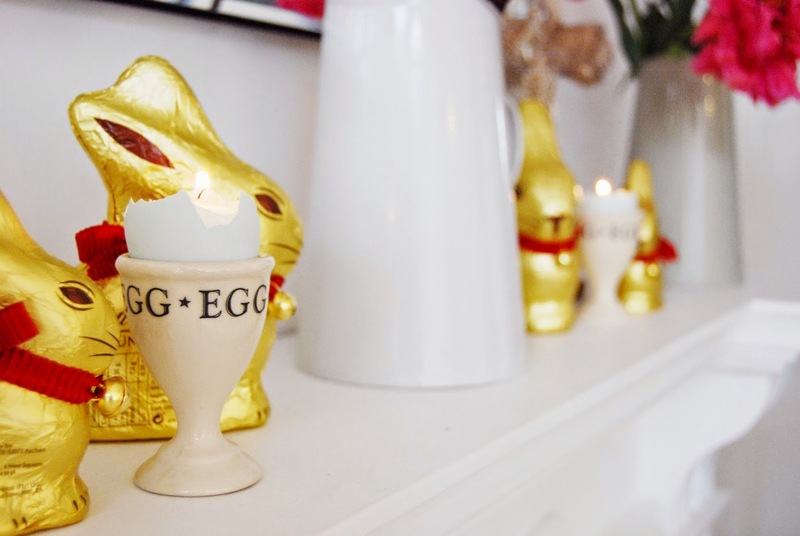 This is a really quick and easy way to bring some last minute Easter decor to your homes. 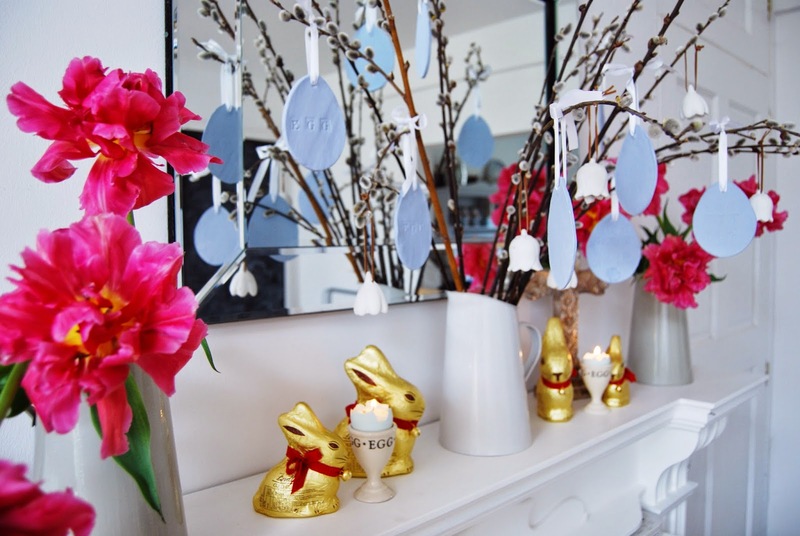 I have used some gorgeous blue egg shells (from a dippy egg supper) and carefully cleaned them in hot water. I have then taken a small tea light candle and placed it inside the shell. 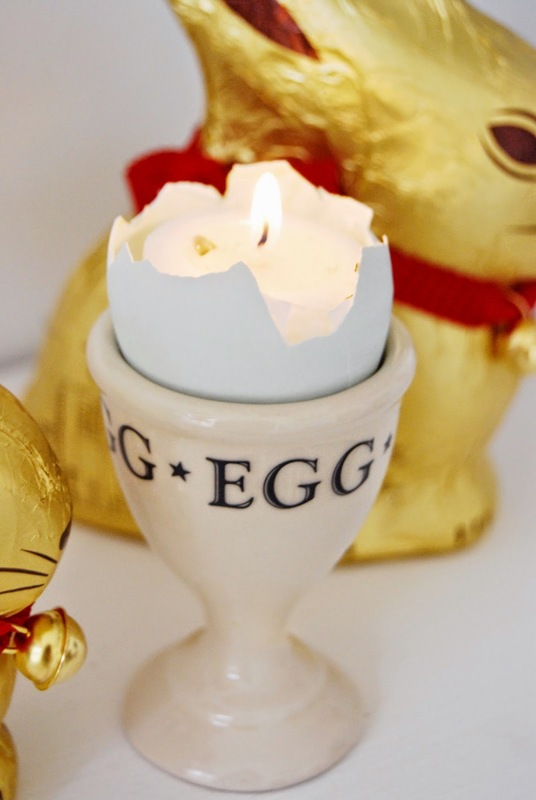 Place it in an egg cup so that it keeps upright then light and enjoy. This is pretty much it! On lighting it and letting it burn the wax just sits in the shell until the wick has burned down. 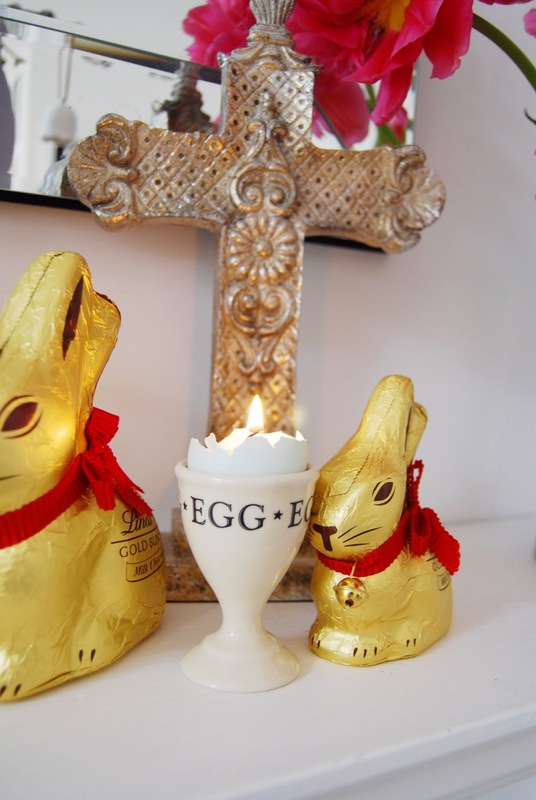 These will look gorgeous on your Easter table or like me; on a mantle or side board, and are really that easy to make!! 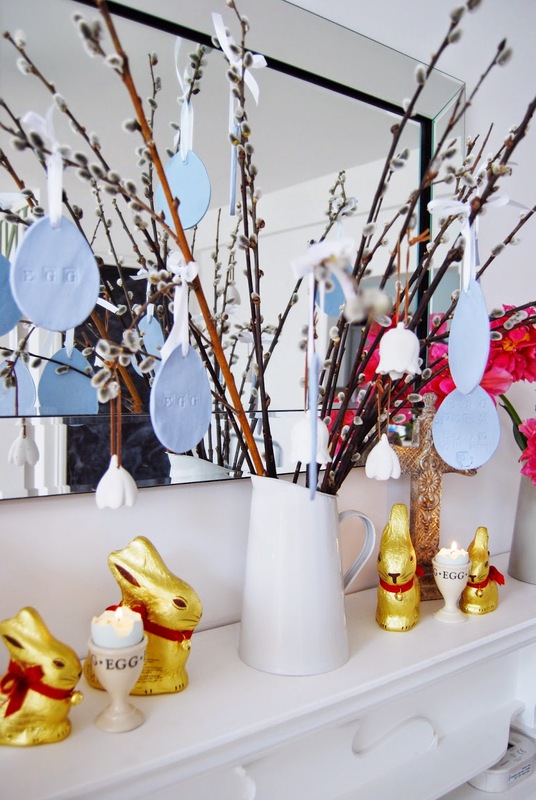 A pretty Easter craft which you still have time to make! This is the second post showing you some of the beautiful shoes that Inch Blue set us for the children. Giulietta was lucky enough to receive these perfectly seasonal bunny slippers. 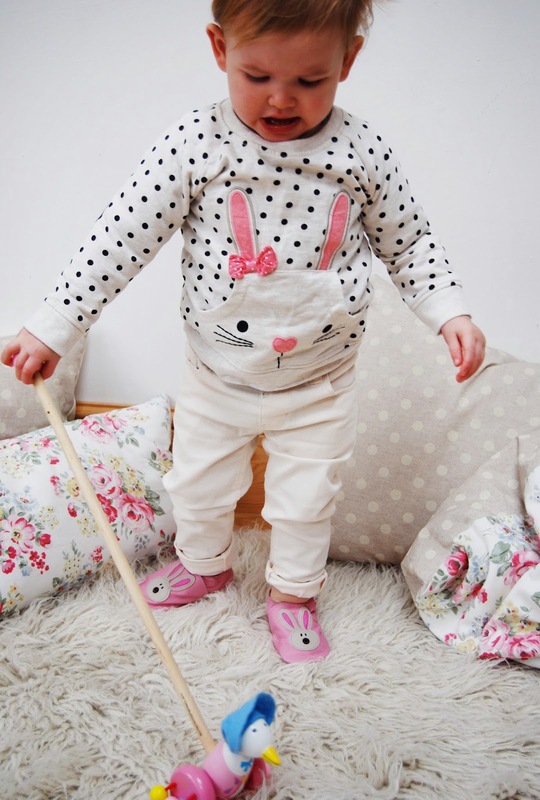 The Sweet face of a Bunny against the pink leather was something that got our little girl so excited. This weekend the kids were so ill so after Etta had a sleep on Saturday morning she woke up to find these little slippers on the table. She was so cute; immediately sitting on the floor and offering me her foot to place them on. She has not wanted to take them off. 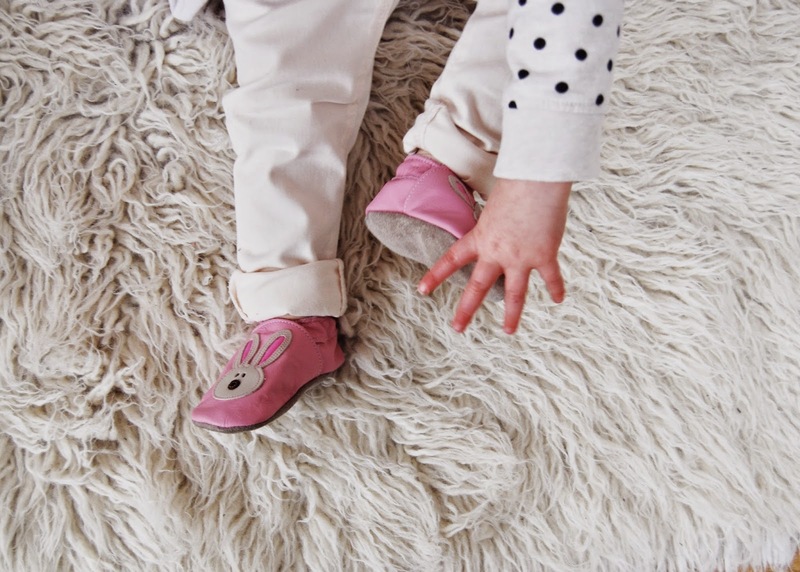 I think the simple clear design allows her to see a distinctive picture and you can see her pointing at it and telling us, in her own way, that there is a bunny on her shoe. She looks so cute in them and as one of her feet is slightly twisted it is perfect for not putting any pressure on her foot. She is a big fan of taking off her usual shoes as soon as you put them on her feet but these do not seem to bother her. 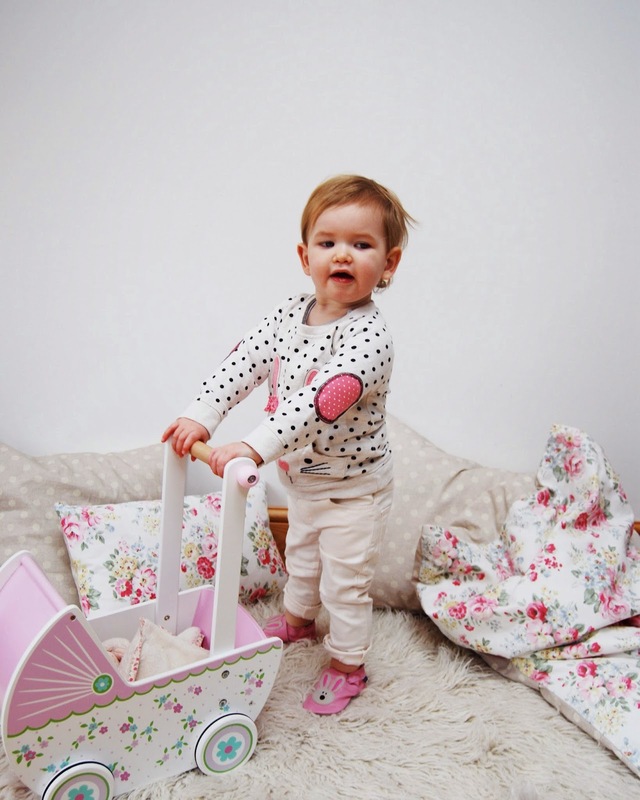 Inch Blue seem to be creating beautiful baby shoes and children's slippers in enchanting designs that will suit all children. 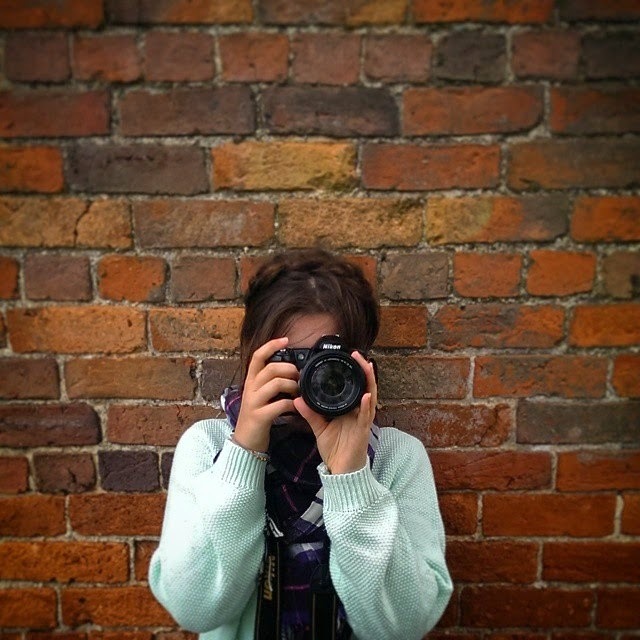 If you fancy taking a look at Inch Blue's website click HERE. 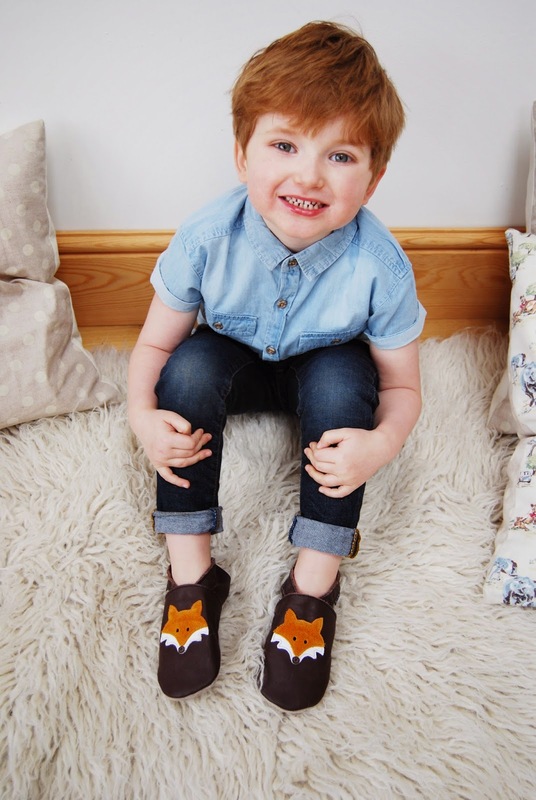 We were lucky enough to be sent some beautiful children's shoes from a company called Inch Blue. They are a specific type of children's slipper which are made of leather and a suitable for children from birth to 6 years. 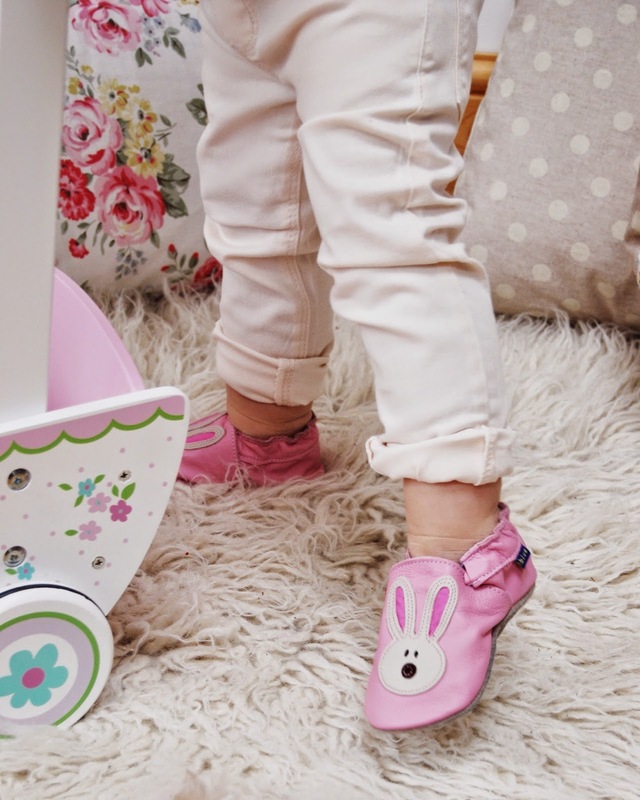 For babies, they are the perfect soft shoe for their pre-walking stages and then they naturally turn into more of a slipper shoe as the child grows. The sole is also soft leather so they are not for really walking outside. 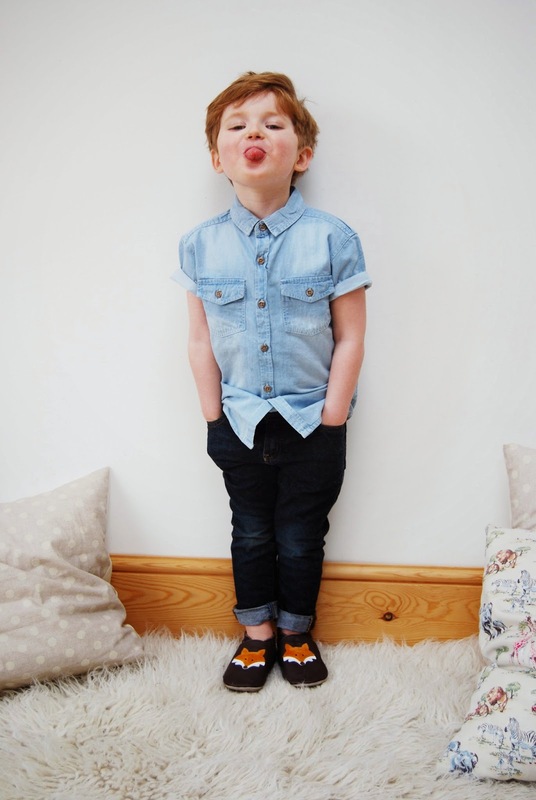 The selection of designs that Inch Blue offer far exceed that of most usual children's shoe companies. There is a vast selection of styles with different pictures offering something for just about everyone. As I said, Inch Blue gifted us some beautiful shoes for the children which I am going to share with you. 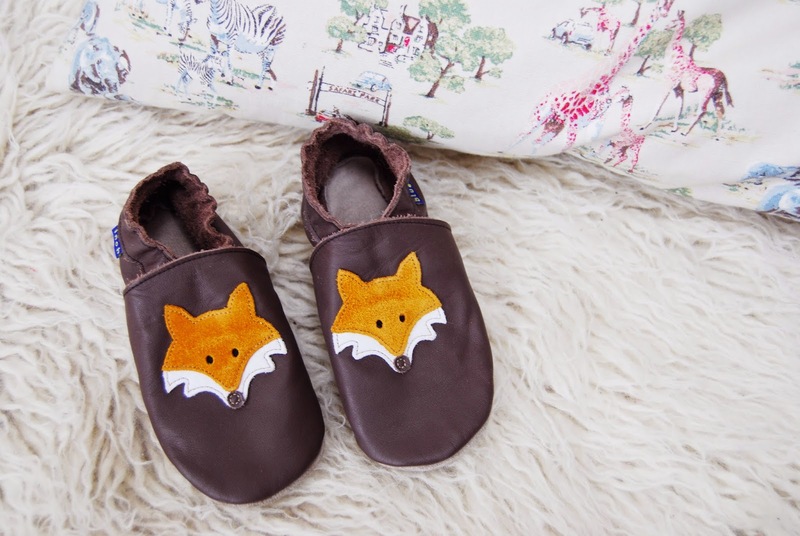 For this post I wanted to share the beautiful Fox slippers that Raphael got. These are so gorgeous. 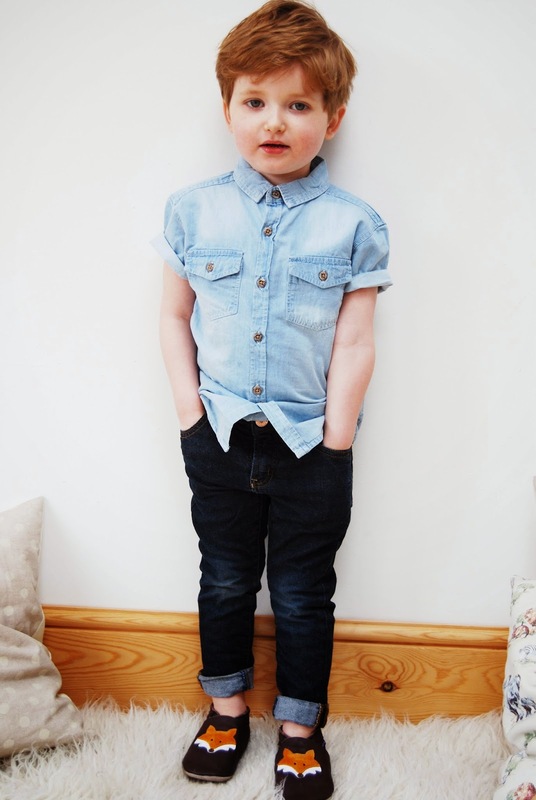 I was so excited when I found out that they went up to older children's sizes rather than just baby ones. Raphael was so pleased when I showed him the bag; eagerly asking if they were for him. Immediately they were on and there they stayed. The leather is unbelievably soft and the beautiful image on the front is such a simple design that it stands out next to the dark brown leather. The slippers are a lovely piece to bring into Raph's wardrobe. 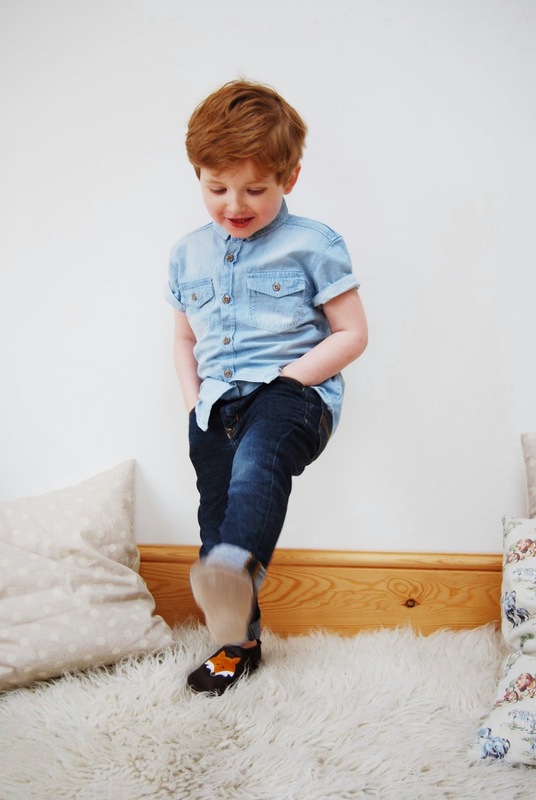 As our house is all wooden floors we often find that it is our toes that get the coldest so little shoes like these will be perfect for everyday wear. I can only rave about just how cute these are as children's shoes. 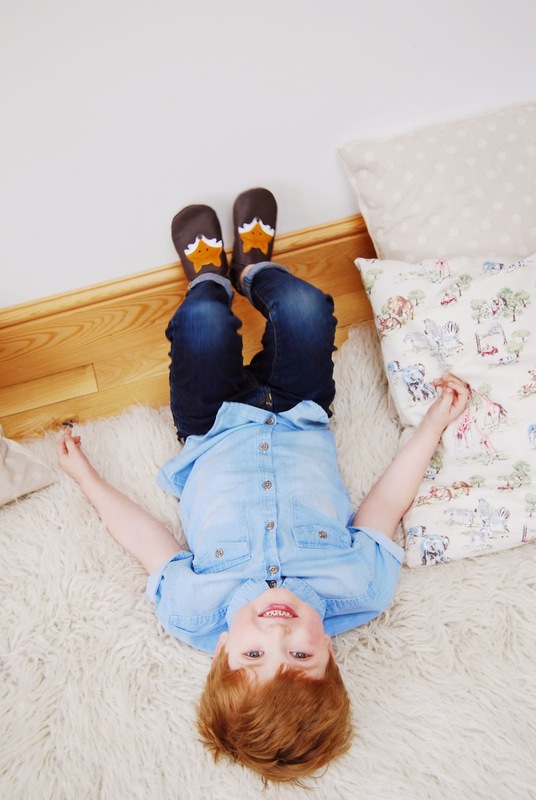 They really are the perfect little slipper for children who potter around and enjoy spending a day wandering. If you want to check out Inch Blue's website click HERE. You may have realised that I have a thing for skirts. I love a good skirt and I love a skirt that will look good for years as its style and pattern won't really date! This very girly, spotty skirt with frill around the bottom is a perfect skirt for all occasions. 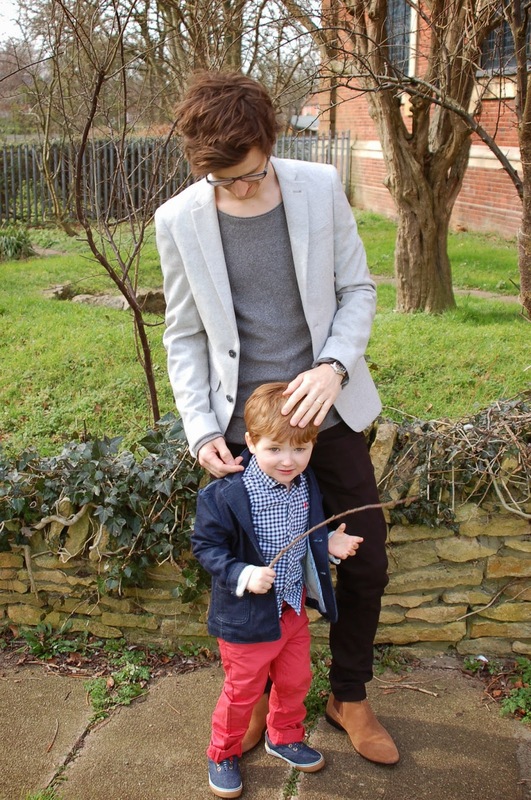 You could wear it for parties, christenings, even weddings as long as you pair it with the right things. I even wore it to a grease party recently! What was also great about this piece was the price: £11! That's right, it is still on ASOS now and is by Paper Dolls. Pretty perfect for having in your wardrobe! Good jackets are always a good investment and I have a growing collection. This one I got in the summer from ZARA and is just a lovely shade of pink. It works well on the shoulders with this skirt and gives me a bit of a 50's look worn with my Bardot black top from Primark. You will remember that last month I purchased and blogged about my new Brita 'Fill and Go' water bottle (read post HERE). I bought this to encourage me to drink more water as I was aware that I was very dehydrated. Skip forward a few weeks and we now have a Brita 'Marella' jug that was given to us by the team at Brita and we have been asked to come up with recipe ideas to encourage their campaign of making life 'Better with Brita'. After coming up with a range of fruity water ideas for the 'Fill and Go' bottle, we were happy to try larger versions in the 'Marella' jug. I have got so much better at drinking more. Some days are still bad though and at 5pm I will suddenly realise that I haven't had any, but I do try and remember to have a glass instead of having a cup of tea. I have decided that we will share one recipe per post so as not to bombard you with ideas. 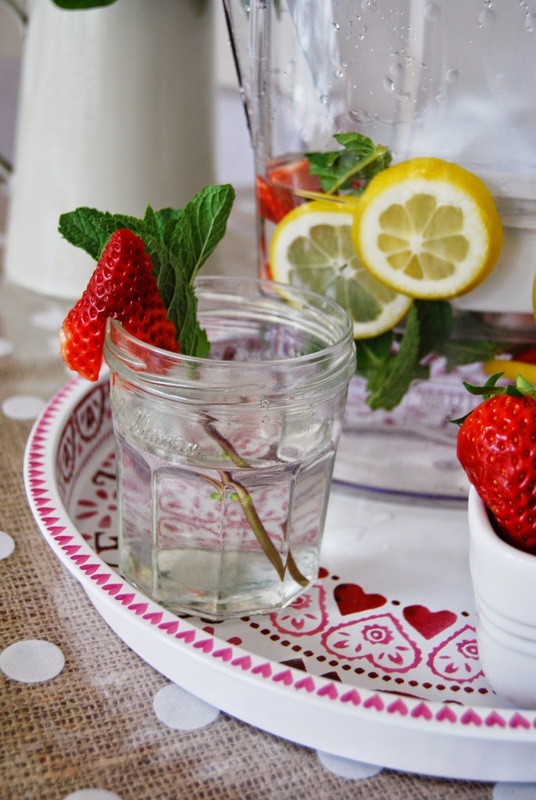 Our first recipe is lemon, strawberry and fresh mint infused water. 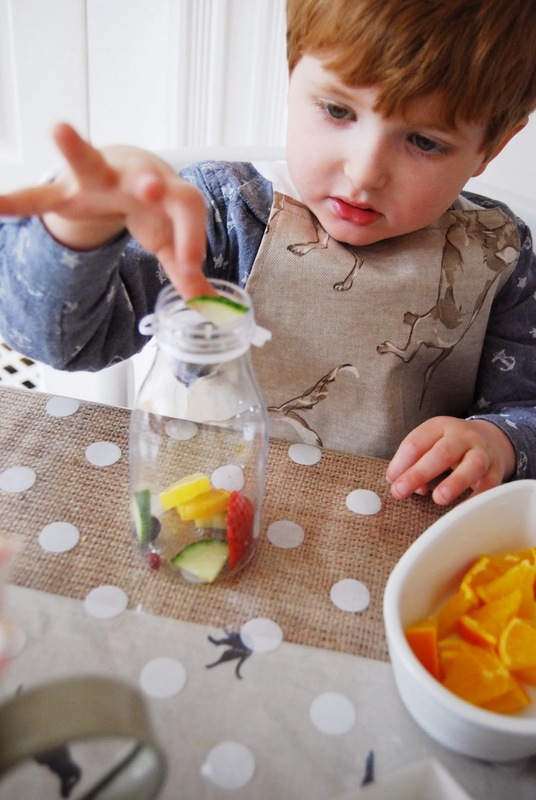 The great thing about the Marella jug is that you can take off the lid and the filter compartment and have an open jug to fill with fresh ingredients. 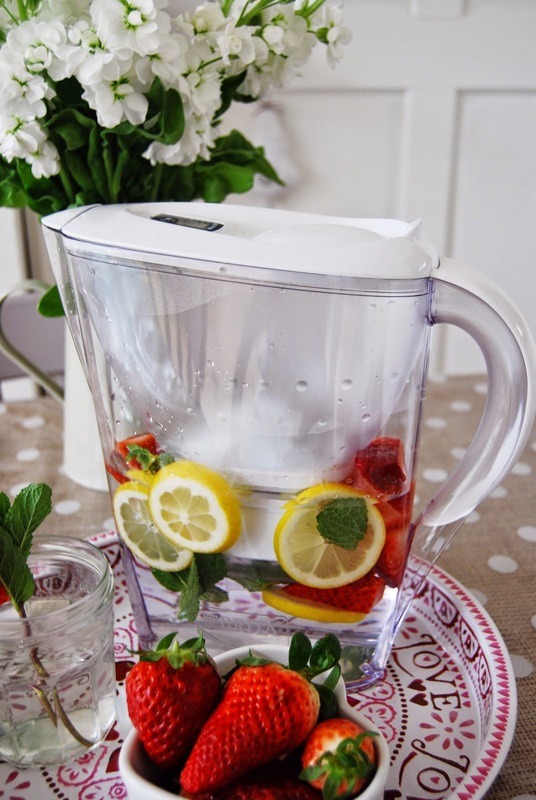 This makes making your own flavoured water really easy. For this I simply sliced up the lemons and strawberries and ripped some fresh mint leaves and popped it in the empty jug. I then replaced the filter compartment, filled it up and popped it in the fridge. After leaving it to infuse for just half an hour you could already taste the fresh mint. The strawberry gave it a soft sweet flavour then there was a hint of zing from the lemon. This was really drinkable and tasted so fresh. It also looks lovely and colourful in the jug making the kids automatically interested in what it was. This was a great way to encourage them to have a beaker of this rather than their usual juice. And with recent studies of young children having high levels of tooth decay I am being a lot more concious of their intake of juice. 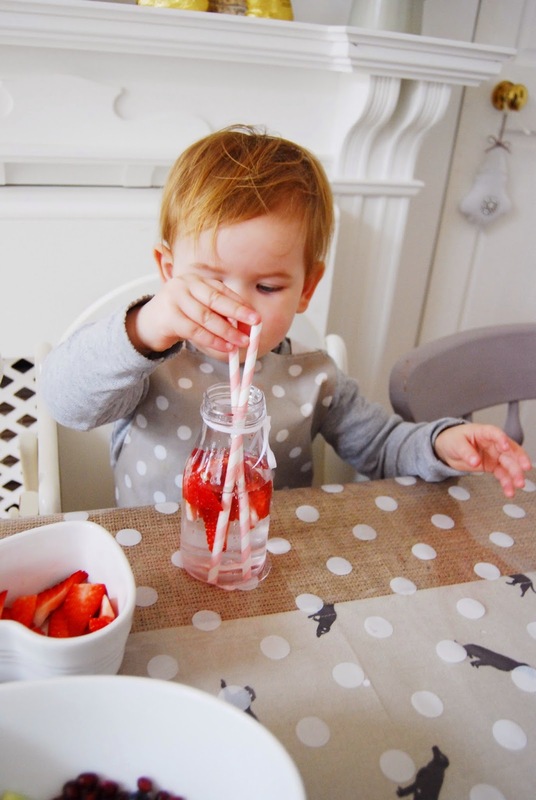 Our first example of how to use your Marella jug will hopefully leave you feeling hydrated and ready for more. I am finding myself reaching into the fridge for some icy cold water a lot more than I was! If you want to purchase a Marella jug to try your own recipes click HERE. 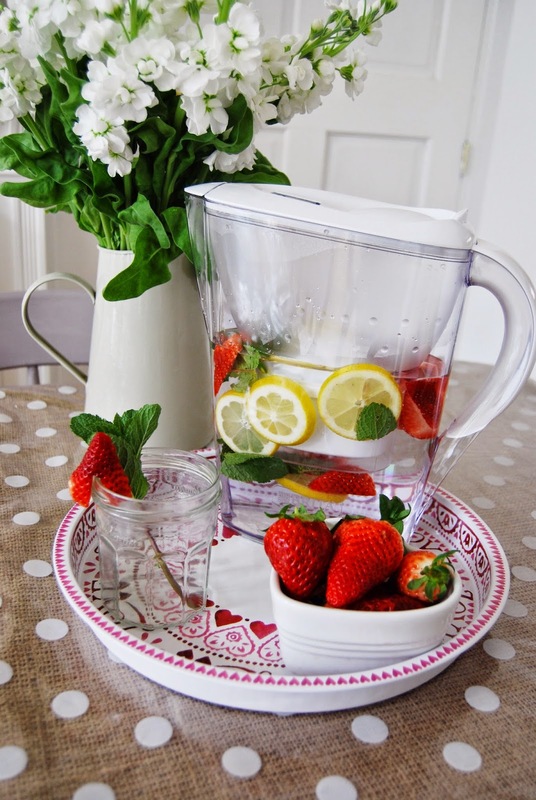 Look out for next post on #betterwithbrita! It is lovely having opportunities to dress up. 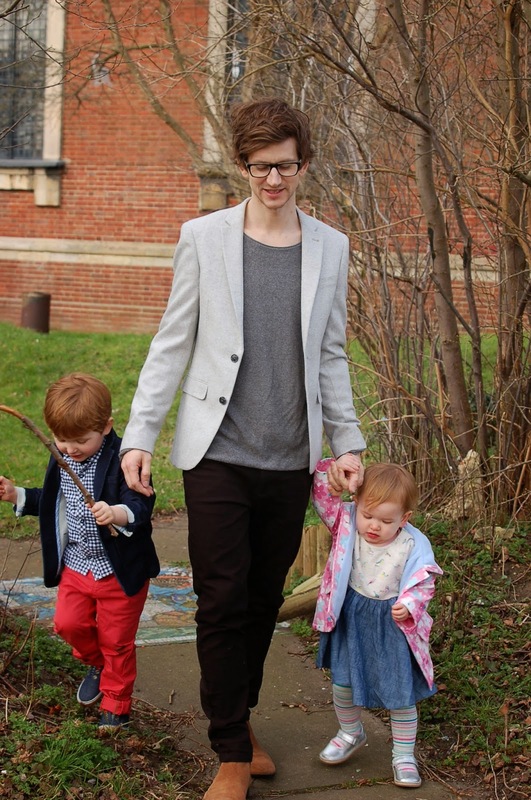 We had a family Christening to go to a few weekends ago which allowed us all to pop on some smarter clothes. 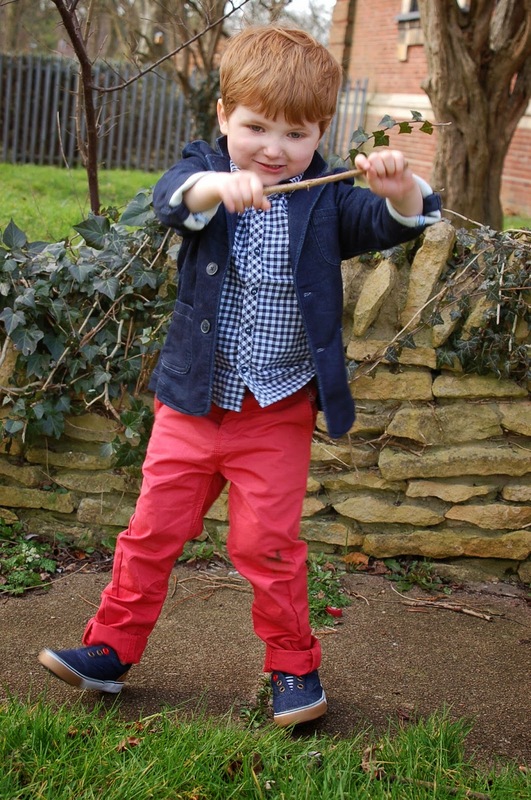 I love planning outfits for occasions and I love even more planning the kids outfits! 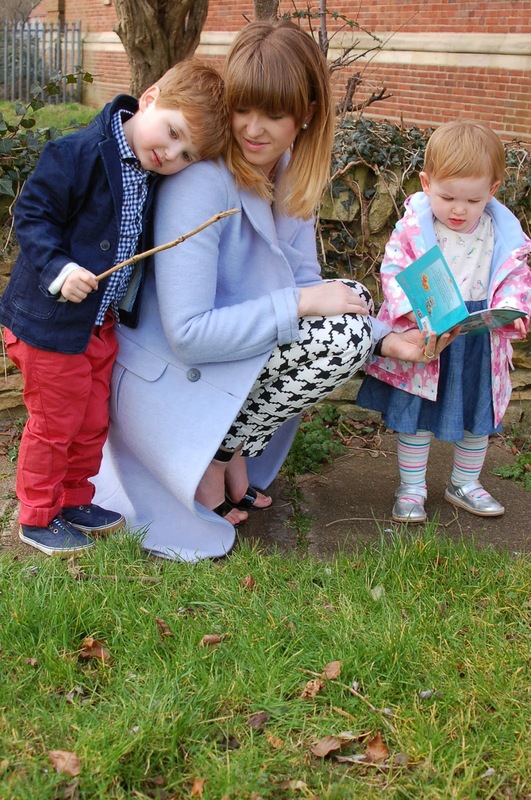 As spring has come around I have bought them a few new bits recently to take their wardrobes into the new season. Raphael's little denim blazer features again because I just love it and it makes him look so cute. I was able to wear my new ebay coat: it is an ASOS one, was brand new with tags and a good price. It is definitely worth looking on ebay for items. 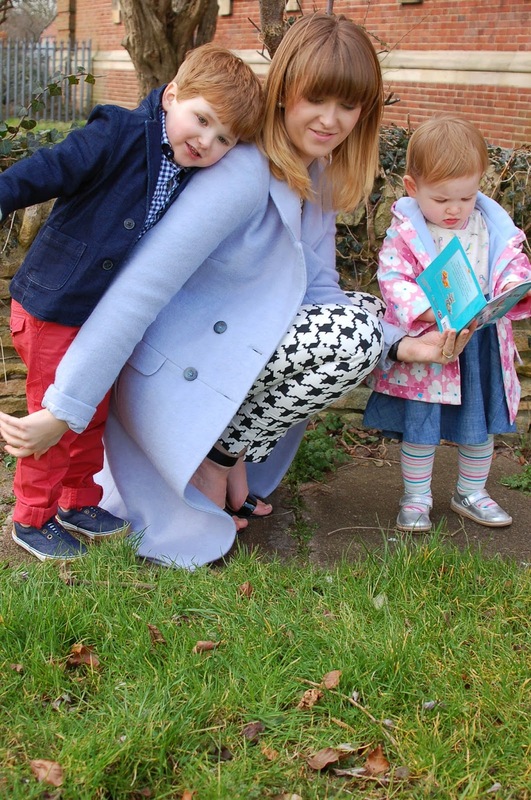 I have recently got a bit addicted to searching for good coats! It is worth it though if you can find yourself some gorgeous pieces that aren't available to all. It can make your outfits a bit more individual. What I loved about this shoot is that it wasn't the best setting, but the brightness of the spring clothes shine through the glum background. I also love my accessories; instead of a handbag I have a ''The Aristocats'' book, in French may I add. Etta loves it so we had to use it as a bit of a distraction tool! 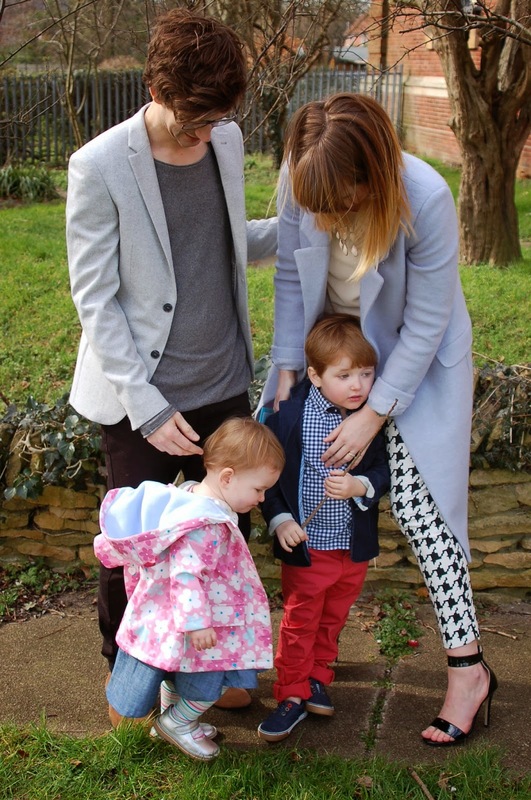 Rob wore; Primark Blazer, H&M Jumper , old jeans ASOS Boots. 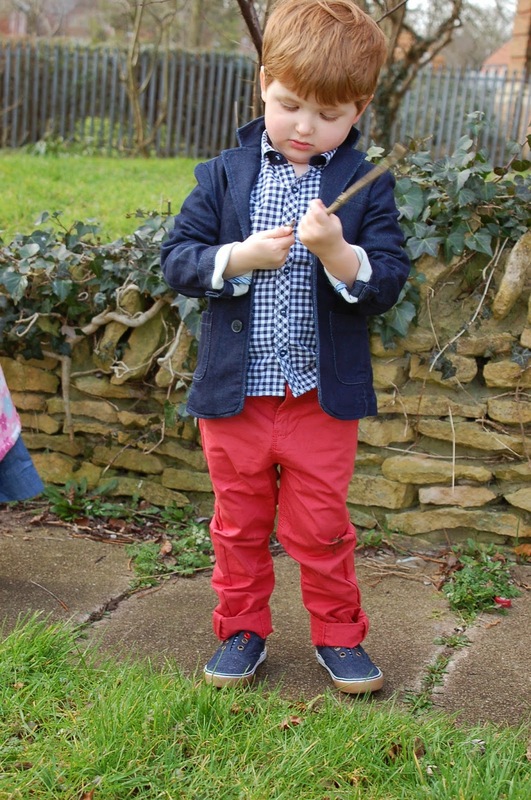 Raphael wore; Next Trousers, Next Shirt, Next Blazer and Primark shoes. 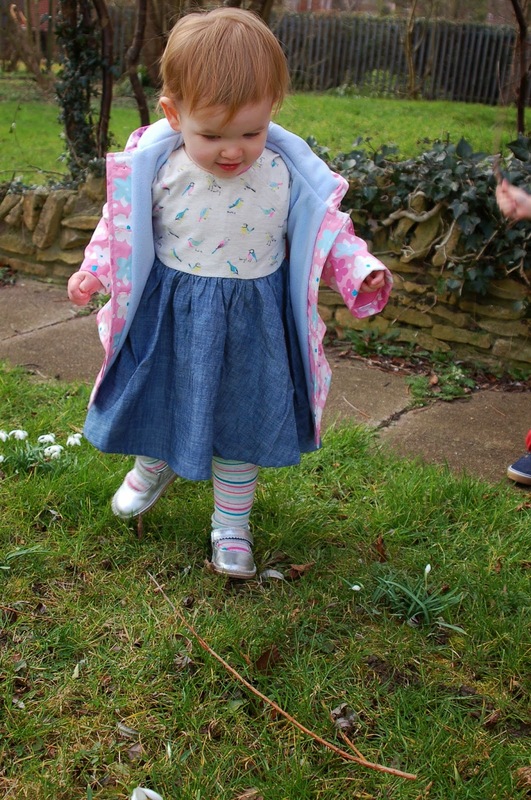 Giulietta wore; Next Dress and Tights and shoes, Primark Coat.